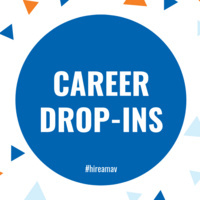 Our Drop-In Schedule is for brief consultations to answer any career-related questions you may have. Consultations with the career consultants may last anywhere from 5 minutes to 10 minutes. Drop-Ins are first come, first served. An appointment or RSVP is NOT required. We do NOT have a drop-in schedule available for Tuesday, Thursday, or Friday.